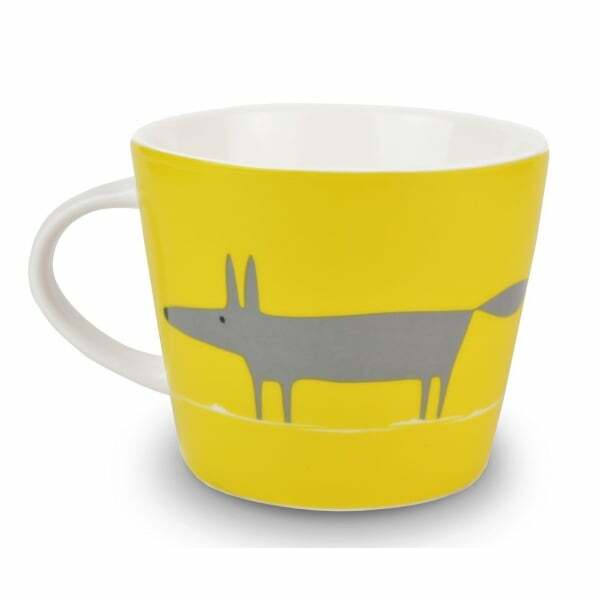 Enjoy your favourite hot drink in style with this endearing Yellow & Charcoal Mr Fox Mug by Scion Living. The mug features the lovable and playful Mr Fox posing around the sides. Made from fine china, this mug is dishwasher and microwave safe, making it ideal for everyday use. The distinctive design is sure to be instantly recognised by those in the know. A stylish and colourful addition to any home, the Mr Fox mug can be mixed and matched with other Scion mugs and accessories. A perfect gift, especially for Scion Mr Fox fans.